One of the striking things about the growth of farmers markets and interest in locally grown and produced foods is how closely those movements align with some core programmatic strengths of Michigan State University Extension. Consumers at farmers markets are interested in nutrition, food safety, gardening and even small business success. We offer programs intended to help consumers better understand how to ensure a nutritious diet; how to use, preserve and prepare food safely; how to grow productive (and colorful) plants in gardens; and how to develop a business that starts with growing things and creating added value by processing them. 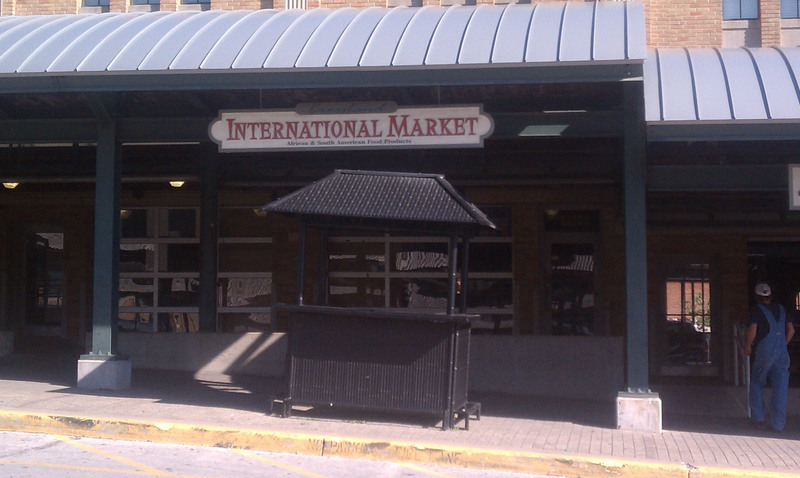 A year ago, that realization struck me as I visited the City Market in Kansas City, Missouri. (I was taking my own field trip at the National Association of County Agricultural Agents.) It was not a market day, so I was poking around in the resident shops at the market and some of the vacant public places. 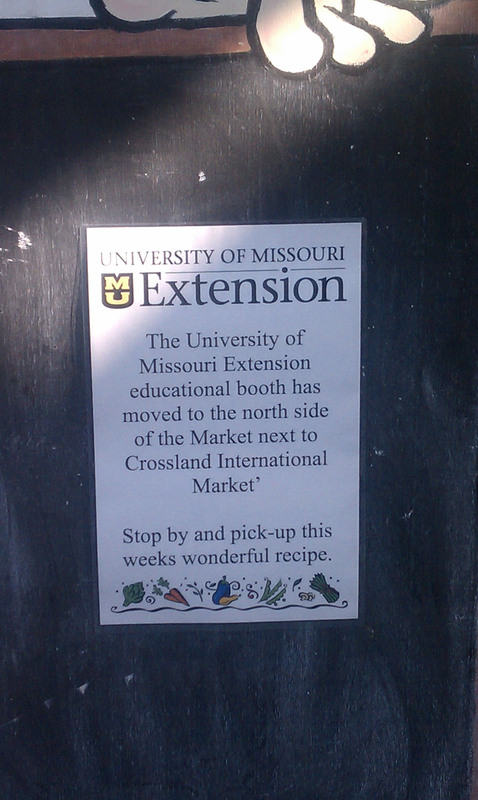 I came across a very simple sign that pointed to a small kiosk that University of Missouri Extension staffed on market days and the logic of what they were doing struck me as one of those “why didn’t we think of that” moments. I inquired a bit more from colleagues at Missouri, and they shared that nutrition education staff and volunteers attended the kiosk on market days and used it as a platform for educating consumers about nutrition choices they can make with their purchases at the market. 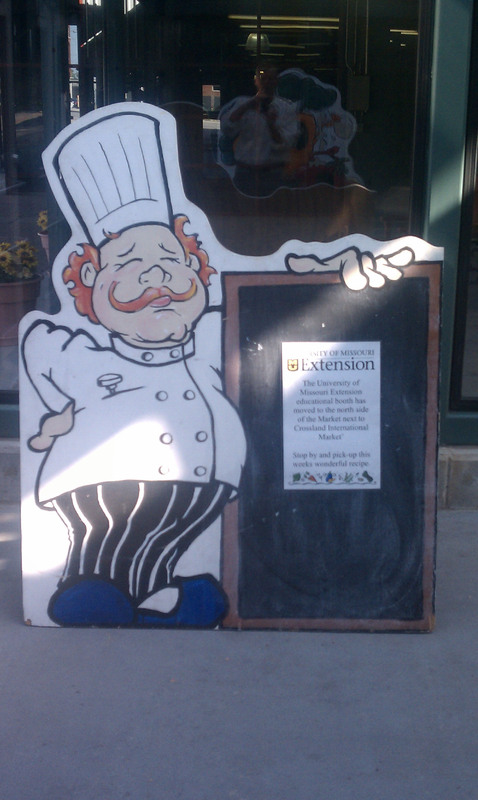 University of Missouri Extension kiosk in Kansas City, Missouri. I made a few inquiries back here about the idea and learned that we have had Master Gardener volunteers attend some farmers markets to educate consumers about gardening, particularly in Oakland County, led by environmental science educator Carol Lenchek. A team quickly formed in District 11 to apply the concept of the kiosk to the Detroit Eastern Market as a pilot from which we could learn about providing programming at farmers markets. Extension educator Eileen Haraminac has provided leadership for the team that developed a plan for and purchased a moveable kiosk that we now use as a base for offering information to market consumers. On July 10, we launched the kiosk, located at the north entrance to Shed 2, the open-air marketplace where vendors sell at the Tuesday markets. Of the 3,000 consumers who came to the market that day, Eileen estimates that more than 10 percent stopped by the kiosk for information, and they quickly filled her sign-up sheet for food preservation classes. Eileen has coordinated staffing the kiosk with MSUE staff and volunteers who have expertise in nutrition and food safety. Extension educator Kristine Hahn has led recruitment of volunteers with expertise in gardening to serve at the kiosk. She anticipates using the kiosk as a platform to demonstrate skills and information useful to gardeners. Eventually the kiosk may be useful in recruiting clients of the MSU Product Center Food-Ag-Bio and in sharing other information from MSUE. The launch of the Michigan Fresh campaign, which provides up-to-date bulletins of interest to growers and consumers of fresh Michigan fruits and vegetables, complements the physical presence that the kiosk provides us at Eastern Market. 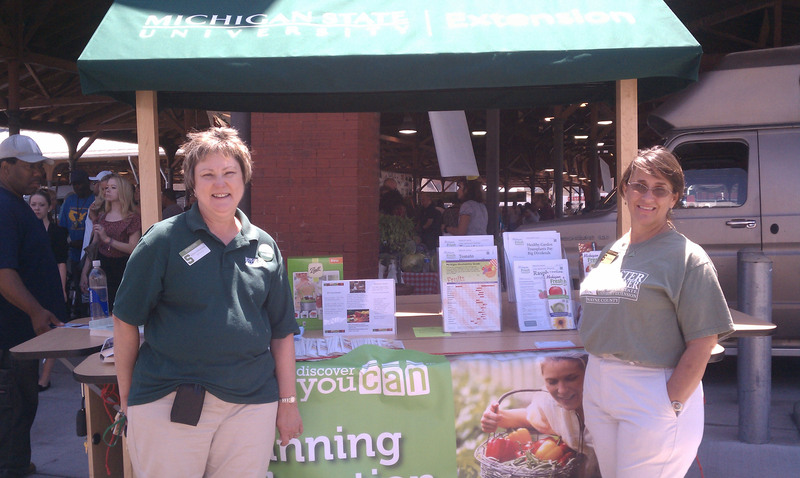 MSU Extension educators Eileen Haraminac (left) and Kristine Hahn pose in front of the MSU Extension kiosk in the Detroit Eastern Market July 2012. Eileen, Kristine and their colleagues and volunteers also staff the kiosk on Saturdays at Eastern Market, days at which tens of thousands of consumers descend on the market. That’s a pretty bold approach for a pilot project meant to explore how we can effectively connect with consumers at farmers markets. I’m not sure that a kiosk is needed at every market, but what the experience at Eastern Market has shown us already is that consumers welcome the information we have available for them there, and vendors appreciate being able to refer customers to our staff and volunteers. Each market presents a unique opportunity to reach residents with our programs. It’s overwhelming to think of serving every farmers market in the state. Yet at locations as large as Eastern Market or as small as the Wednesday markets in Manistique, market consumers find it helpful to have access to their cooperative Extension system as they shop. I want to thank Eileen, Kristine and the many others who have helped to develop, test and pilot this idea we borrowed from our colleagues in Missouri. It’s been a tremendous effort, and as you can see , they’ve made us look really good at the market! 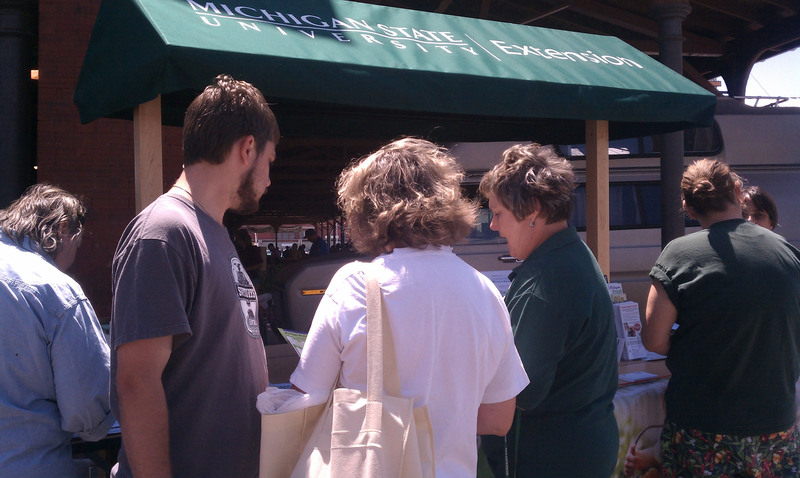 MSU Extension educators educate consumers at the MSU Extension kiosk at the Detroit Eastern Market July 2012.